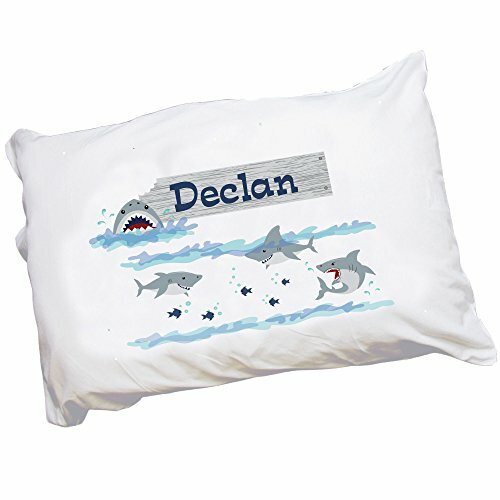 Our MyBambino personalized shark tank pillowcase for toddlers will let them drift softly into Dreamland. We add the name or short message in the lettering style and color of your choice along with our exclusive design. Case is white and side loading. Machine Washable and Dryable. Measures 29" x 20". Measures 29 1/2" x 19 1/2"